In Universal Pictures’ “American Made”, Tom Cruise reunites with his Edge of Tomorrow director, Doug Liman, in this international escapade based on the outrageous (and real) exploits of a hustler and pilot unexpectedly recruited by the CIA to run one of the biggest covert operations in US history in the 1980s. 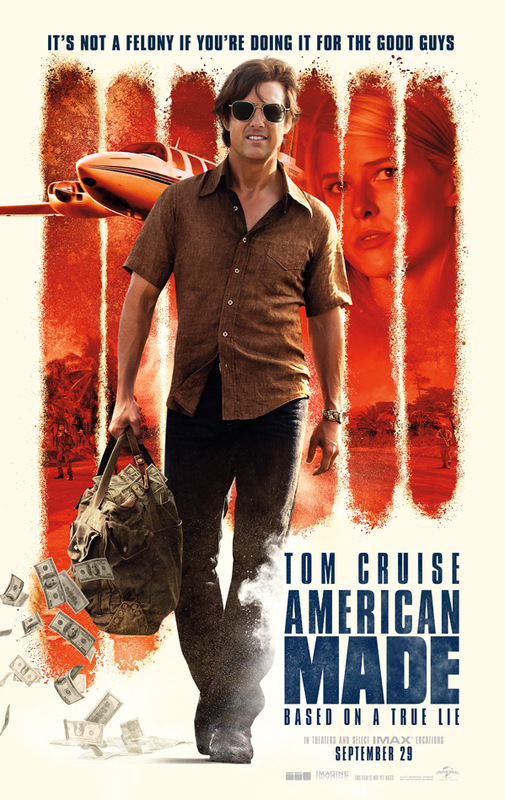 American Made is directed by American filmmaker Doug Liman, of Swingers, Go, The Bourne Identity, Jumper, Mr & Mrs Smith, Fair Game, and Edge of Tomorrow previously, as well as The Wall also being released this year. The screenplay is written by Gary Spinelli. Universal will release Doug Liman’s American Made in theaters starting on September 29th later this fall.